The IBDSF Online Community is for everyone whose life has been touched by Crohn’s disease or ulcerative colitis, together known as Inflammatory Bowel Disease or IBD. It is a place where you can safely voice your ideas, thoughts, and concerns, benefit from the experience of others, and most importantly, realize that you are not alone. This community is for you and about you. 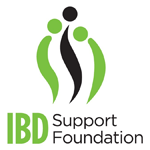 IBDSF and theGIconnection have partnered to bring you community, networking, and information to support you and help you navigate your journey with IBD. Registering for the IBDSF Online Community will enable you to ask questions, share your experiences, and gain knowledge from others who are confronting similar challenges. As part of the IBDSF Online Community, you may also take part in national conversations and events on theGIconnection page. To do so, you will not need to register again. We invite you to join the IBDSF Online Community. Together, we can support each other through the challenges and positive experiences that come our way.